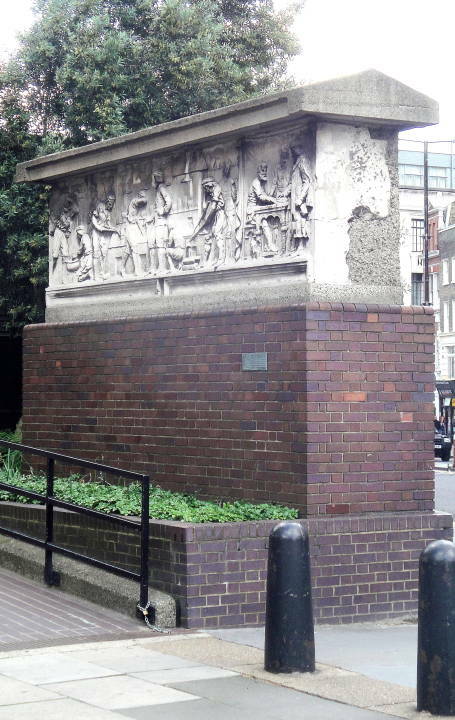 This frieze was removed from numbers 53 and 54 Barbican when it was demolished in 1962 and re-erected by the Corporation of London in 1975. 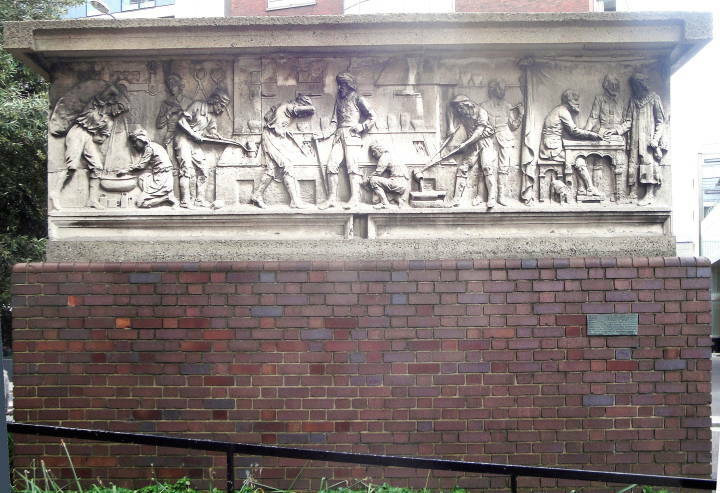 Numbers 53 and 54 Barbican were the premises of W Bryer & Sons Gold Refiners and Assayers whose trade is depicted in the frieze[.] The building was one of the few which survived when the area was largely destroyed by incendiary bombs in December 1940. 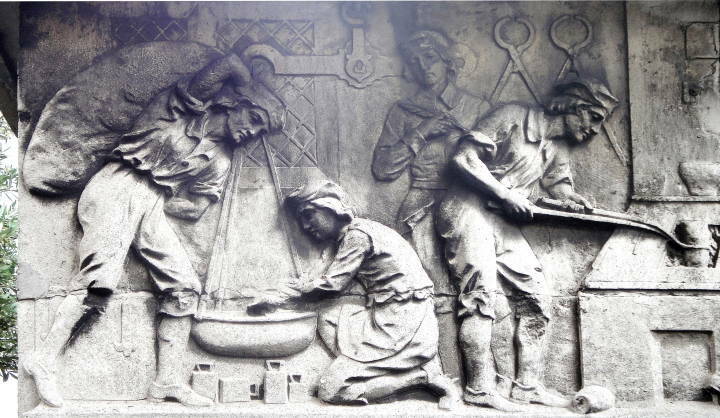 The middle portion of the frieze depicts men working at the smelter: the man at left, whom we have already seen in the previous detail, holds a vessel with tongs while the man to his right either stirs the fire, shielding his face from the heat with his right arm. 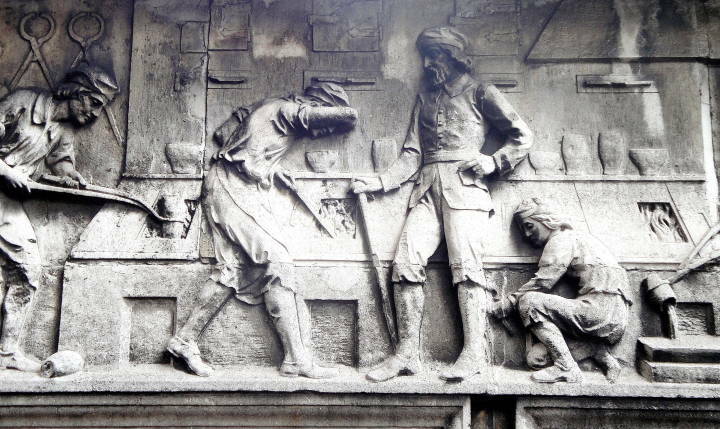 The next man either rests or supervises the work, and the young man kneeling behind him most likely feeds the furnace. 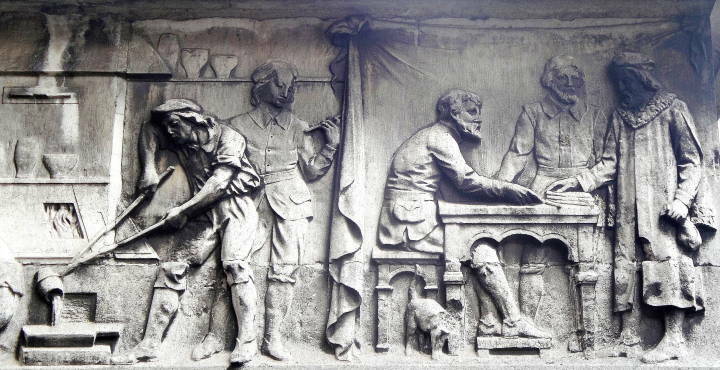 The right side of the frieze shows a worker pouring the refined gold into a mold, and the man behind him examines a small ingot. Outside the workshop, which a curtain divides from the smelting operation, a seated man presents the refined gold to a customer. Here the figures all wear clothing from earlier periods.